The Dark Ranger: Bettman the Barbarian Takes On Dolans! The National Hockey League is threatening to kick out Madison Square Garden, the owners of the New York Rangers, as punishment for accusing the league of violating antitrust laws. The NHL filed court papers Wednesday that included a draft letter from commissioner Gary Bettman. In its court filing, the NHL asked a judge to agree MSG has breached its contract by challenging league rules and that it can force out MSG. Madison Square Garden sued the NHL in September, saying it violated antitrust laws by monopolizing control of team promotions. 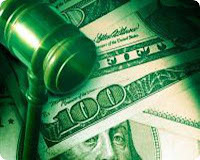 And a judge said in November the league seemed within its rights to take control of the team's website. Now here is the perfect example of the 'Battle of the Egos' -- where at some point Herr Bettman probably got in a room with members of the Dolan Empire and verbally shagged them, inciting imaginary rule #357a of the NHL franchise agreement regarding global league marketing and how big your C**k is....I mean New York accent. What a joke. If the Toronto Maple Leafs decided they wanted to keep profits in-house and ultimately coordinate their website marketing in tandem with the league, as opposed to letting Gary Bettman control it, there wouldn't ever be a problem. There are untouchables in the league, as we saw throughout the playoffs. Perhaps this is another example of favoritism in the hockey world and how the league looks down on another New York City franchise. What a joke. The New York Rangers are one of the "untouchable" teams that gets away with murder. What a bunch of whining. 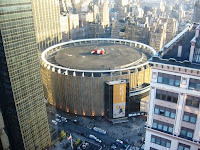 And no, Toronto wouldn't be able to get away with what the MSG tried to do. 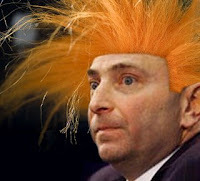 Having said that, Bettman is is rather full of himself after taking on the NHLPA for the win. What I don't get is why anyone likes the MSG organization anyway. They aren't one of the better hockey owners in the league. In fact, before the 'new' NHL, they traditionally spent big and got very little in return. Who isn't a bit excited to think that the Rangers might get some new owners? Gary Bettman is a bigger prick than any one franchise -- one example with the failing franchises in Florida and Nashville - both have corrupt and bankrupt owners...mind you, all previously approved by the legion of Gary Bettman. When a billionaire named Jim Basille wants to buy one of these ailing teams and the owners want to sell them to Basille -- Gary 'control freak' Bettman and the league will NOT allow it. Why? Because they are afraid that Basille can market the league - or his team for that matter - better than BETTMAN CAN! Huh? The Blackberry owner Jim Basille owning a hockey team is a bigger threat to Bettman's employment and control than anyone...maybe it would get in the way of that bonus-laden NHL Nokia sponsorship that does nothing for the league. See..this is the problem. Gary Bettman makes himself 'untouchable' by controlling the marketing and that in itself is the bigger issue. You are both schmucks. But Bettman is flexing his muscles more than the Dolans, which is wrong. Clubs like Nashville and Carolina are perfectly willing to let the league market their franchises appropriately because they don't have the capacity for it, but Bettman is bordering on a monopolistic approach to his lawsuit. 1) Getting away from the personalities for a second; What are the possible outcomes here? If you 'force' the team to be sold, there is no problem you'd find someone willing to buy the most profitable US based team BUT, could MSG then say you can't play here in our arena if that happened? 2) Imagine the marquis US team without a home? Great PR for the league Mr. Bettman. It would seem this could have been handled a bit more delicately/diplomaticly. 3) There are no winners in any scenario. Well, the lawyers for both sides win either way. Anonymous...schmucks? so what you're saying is that you agree with me. thanks. I am all for Bettman stirring up controversy and getting press for himself and the NHL -- just not at the expense of MY TEAM. Pick on someone your own size, Bettman -- because Jim Dolan and his empire are the DARKER side to your DARK side. Pick on someone smaller and let me - the lowly humble season ticket holder - keep my MSG.